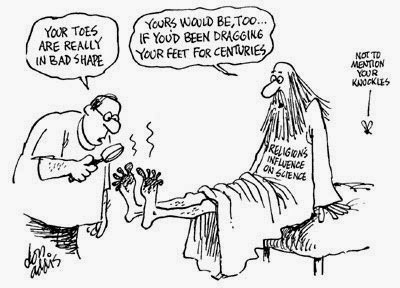 Funny Religion Dragging Feet Centuries Cartoon Joke Picture - Your toes are really in bad shape. Yours would be too if you'd been dragging your feet for centuries. Not to mention your knuckles.